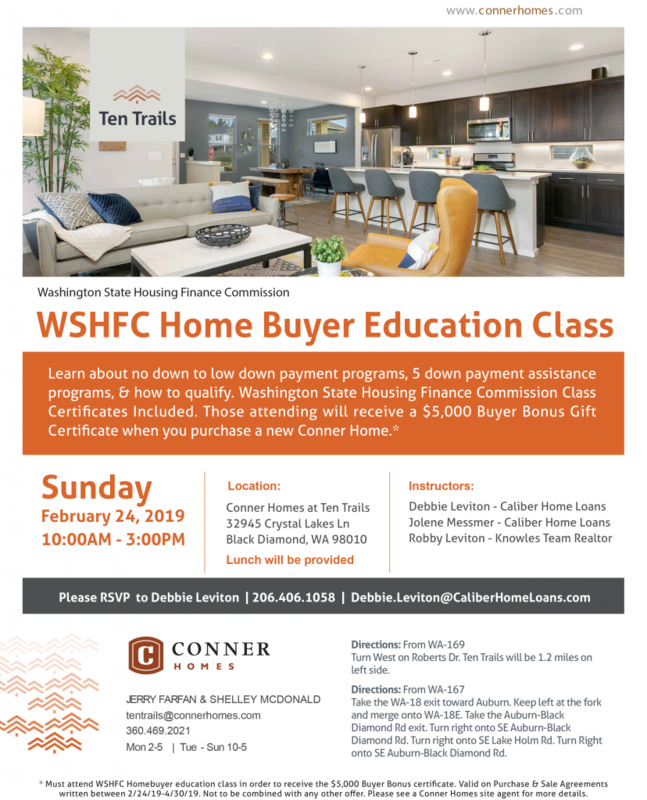 Head to Ten Trails on Sunday, February 24th from 10 am to 3 pm for the first time home buyer educational class which will take place in one of the Conner Homes Ten Trails homes at 32945 Crystal Lakes Lane, Black Diamond, WA 98010. Lunch will be provided. While you are at Ten Trails, be sure to stop by our Welcome Center to learn all about our community and visit our builders’ model homes! *Some restrictions apply…see a Conner Homes site agent for specifics and details.